Airplane Travel Globe Technology PowerPoint Templates And PowerPoint Themes 1012-The above template displays a diagram of a jet airplane travels around the world. It imitates communication and technology. It also portrays the concept of global, immigration, international, network, technology, transport, travel, trip, vacation, world etc. This image has been conceived to enable you to emphatically communicate your ideas in your Business PPT presentations. Use this template for presentations on airlines, air communication, flights, airplane safety. Go ahead and add personality to your presentations with our high quality Global template.-Airplane Travel Globe Technology PowerPoint Templates And PowerPoint Themes 1012-This PowerPoint template can be used for presentations relating to-"Airplane Travel, Earth, Globe, Transportation, Travel, Business" Let your thoughts evolve. Our Airplane Travel Globe Technology PowerPoint Templates And PowerPoint Themes 1012 will nurture their growth. 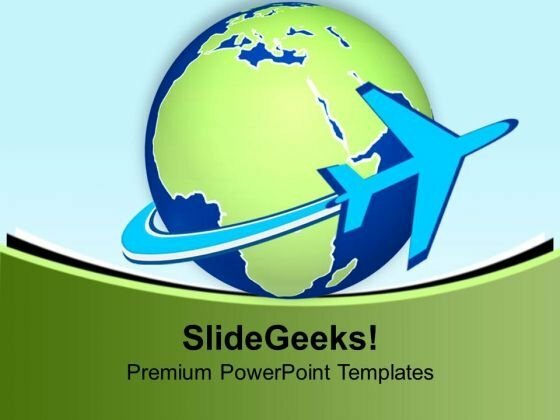 Enter into a contract with our Airplane Travel Globe Technology PowerPoint Templates And PowerPoint Themes 1012. Your signature thoughts will get approval.